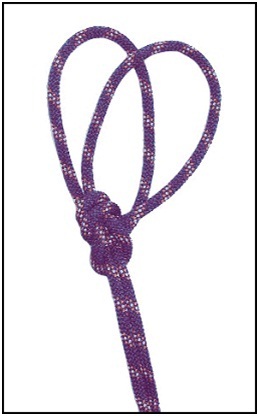 The bowline-on-a-bight is used to form two fixed loops in the middle of a rope. It is a middle rope knot. STEP 1. Form a bight in the rope about twice as long as the finished loops will be. STEP 2. Tie an overhand knot on a bight. STEP 3. Hold the overhand knot in the left hand so that the bight is running down and outward. STEP 4. Grasp the bight with the right hand; fold it back over the overhand knot so that the overhand knot goes through the bight. STEP 5. From the end (apex) of the bight, follow the bight back to where it forms the cross in the overhand knot. Grasp the two ropes that run down and outward and pull up, forming two loops. STEP 6. Pull the two ropes out of the overhand knot and dress the knot down. STEP 7. A final dress is required: grasp the ends of the two fixed loops and pull, spreading them apart to ensure the loops do not slip. The bowline is used to tie the end of a rope around an anchor. It may also be used to tie a single fixed loop in the end of a rope. It is an anchor knot. STEP 1. Bring the working end of the rope around the anchor, from right to left (as the climber faces the anchor). STEP 2. Form an overhand loop in the standing part of the rope (on the climber’s right) toward the anchor. STEP 3. Reach through the loop and pull up a bight. STEP 4. 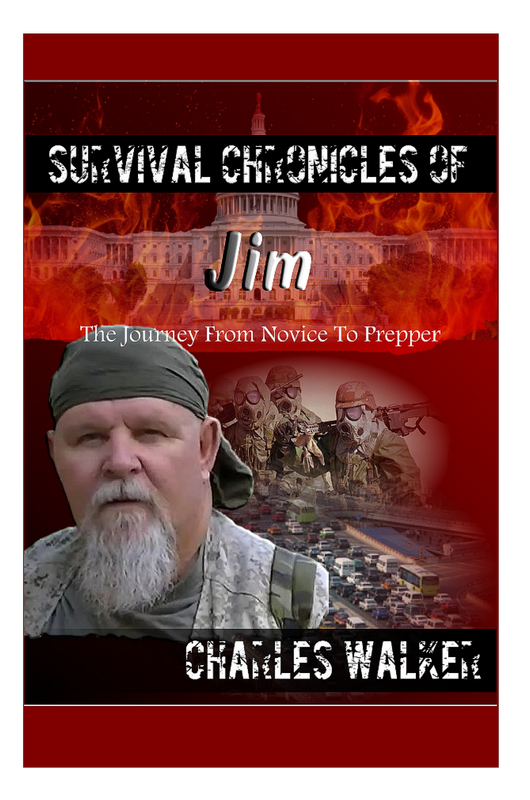 Place the working end of the rope (on the climber’s left) through the bight, and bring it back onto itself. Now dress the knot down. STEP 5. 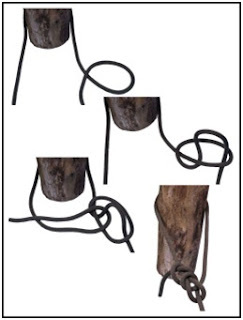 Form an overhand knot with the tail from the bight.